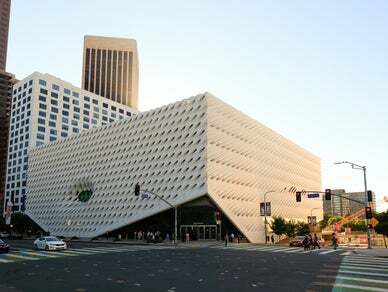 Located in downtown Los Angeles, The Broad is an art museum that offers free general admission to its renowned collection of contemporary art, which includes works by Jean-Michel Basquiat, Mark Bradford, Jasper Johns, Jeff Koons, Barbara Kruger, Robert Rauschenberg, Cy Twombly, Kara Walker, Andy Warhol and more. The Broad features two Infinity Mirror Rooms by Yayoi Kusama, which are immersive installations with LED lights reflecting endlessly inside mirrored spaces. Skip the line by booking tickets in advance at www.thebroad.org!